Pastor George Morrison of Faith Bible Chapel says that they have been honoring Israel for over 35 years. 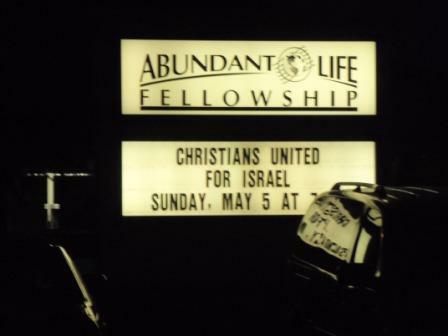 Once again, Chuck Carlson and his team conducted a vigil in front of Faith Bible Chapel in Arvada, CO during the Christians United For Israel's "Night To Honor Israel" event featuring John Hagee. WHTT's "inside man," Craig Hanson, reports that Jesus, definitely, played second fiddle at this event. Don't miss Craig's insightful analysis of the program and Chuck's details on the outside activities. Just when you thought it was safe to get into the water, John Hagee of Christians United For Israel has declared, on the Hagee Hotline program, that President Obama is not sufficiently kind to Israel. It seems the President wants to keep the "true " capital of Israel, Jerusalem, divided between Palestinians and Jews rather then uniting it under Israel. Hagee contends that this will result in a judgment by God against the United States in the form of the Ebola outbreak. This is one and half minute segment extracted from the Hagee Hotline program, hosted by Mathew Hagee (son of John Hagee), left us amazed. You can watch the entire program by going to Hagee Hotline [the program has been removed as of 11/17/2014. Imagine that!] but you will have to sign by giving your name and email address (but, hey, it's free and one of the best entertainment values around!). 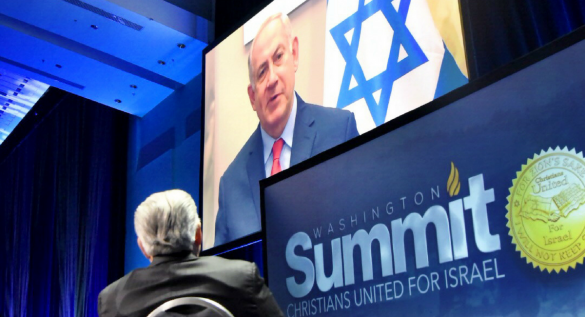 At an upcoming Christians United For Israel event in Sacramento, CA neo-con talk show host, Dennis Prager will be the featured speaker. In this program we discuss an article by Dennis Prager that equates "Anti-Zionism" to "Anti-Semitism." 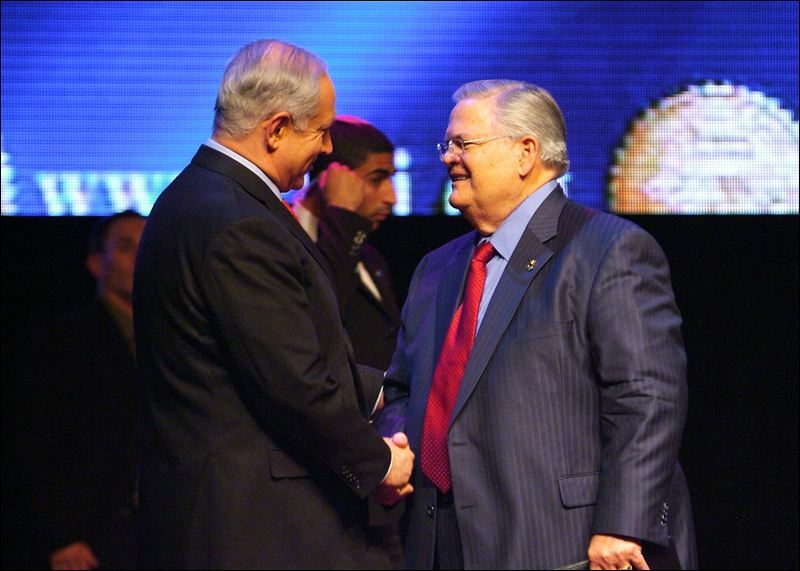 John Hagee and Christians United For Israel used to ignore WHTT vigils in front of their events. Now, they are engaging us. At a recent vigil in Sacramento, both a pastor from the church and a CUFI staff member came out to do "battle" with us. The analysis of those dialogs with Chuck Carlson and Craig Hanson provide an eye opening view into the theology of Christian Zionism. 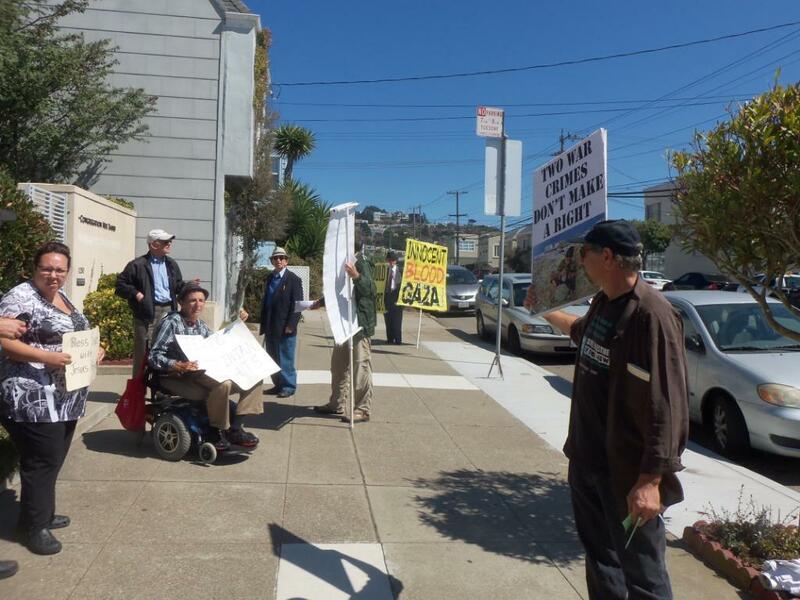 At a recent vigil in the Bay Area at a Christians United For Israel (CUFI) event our intrepid vigil leader, Craig Hanson, went inside to witness the event and reports on the attack made on WHTT using the worn out and baseless "anti-semitism" smear tactic. Never mind the facts! 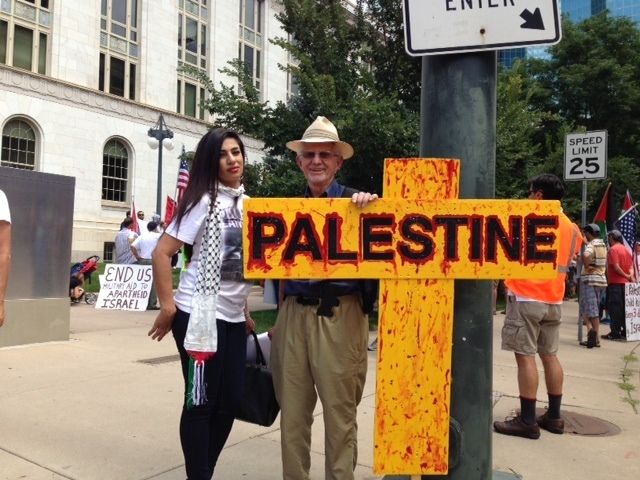 We also review actions by Jewish Voice for Peace activists in Colorado to support a resolution to make Boulder, CO a sister city with Nablus in the West Bank of Palestine. Zionists forces applied pressure to defeat the measure but WHTT friend, Bob Prince of the Front Range Jewish Voice for Peace says the Zionists are losing ground. 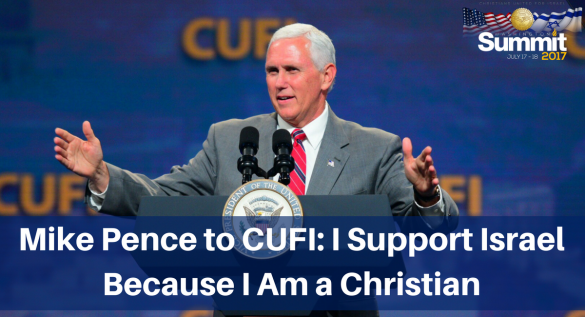 Thanks to WHTT's newest vigil veteran, Craig Hanson, a former Christian Zionist, we have a very clear account of what goes on at a Christians United For Israel event. While other members of the WHTT vigil team held signs like "Who Would Jesus Bomb?" 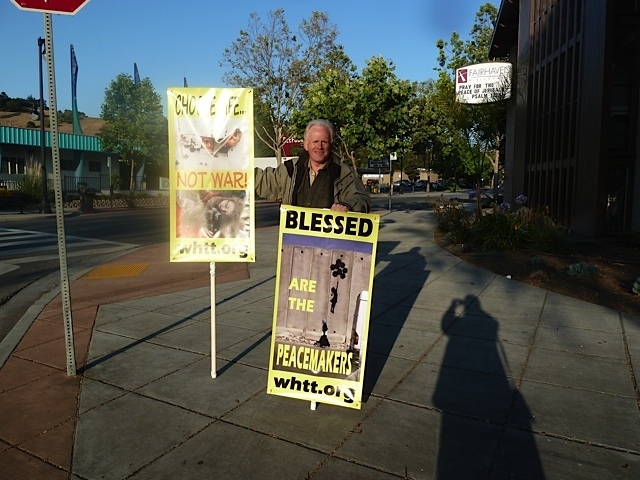 and "Choose Life Not War" and "Blessed Are The Peacemakers" outside the Abundant Life Fellowship church in Roseville, CA, Craig went in to find out what was said. His report is eye opening. 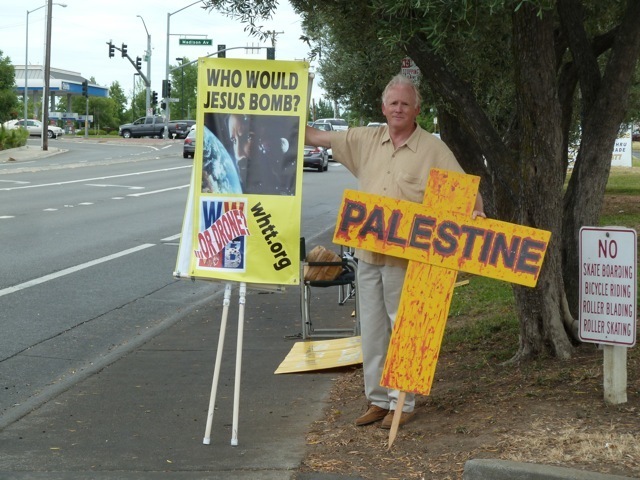 In response to our sign "Who Would Jesus Bomb?," the CUFI director said that Jesus would bomb...you'll have to listen to find out what he said. Check out the flier, handed out at the vigils, that is mentioned in the program.